James is a highly skilled trainer and consultant, having worked in the UK's Higher Education sector for over 20 years. Before setting up the Statistical Services Centre Ltd (SSC), he was Director of a similar unit, and Principal Statistician, at the University of Reading. James originally studied Mathematics and completed his BSc in 1992 before following a career in applied statistics after completing his MSc in Statistics with Applications in Medicine in 1993. He teaches regularly on many short courses for both statisticians and non-statisticians. 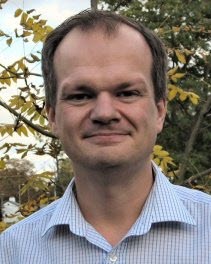 He has also taught many undergraduate and postgraduate statistics modules for the Department of Mathematics and Statistics, and for the former Department of Applied Statistics, at the University of Reading. James also acts as a consultant. His consultancy work has been very diverse, including medical/pharmaceutical, agricultural, biological, engineering, environmental and market research applications of statistics. To enable such wide ranging consultancy and teaching, James is familiar with numerous areas of statistics. Areas of expertise include mixed models, repeated measurements, generalised linear models, and more generally, applied statistics and teaching statistics. He is also an experienced user of many popular statistical packages such as GenStat, MINITAB, SAS, SPSS, and Stata, and more specialised packages such as StatXact, nQuery, PASS and WinBUGS. He also teaches statistics using Excel. 2018 to present. Director of Statistical Services Centre Ltd, Reading, UK. Köse, T., Orman, M., Ikiz, F., Baksh, M. F., Gallagher, J. and Bӧhning, D. (2014) Extending the Lincoln-Petersen estimator for multiple identifications in one source. Statistics in Medicine, 33, 4237-4249. Bӧhning, D., Baksh, M. F., Lerdsuwansri, R. and Gallagher, J. (2013) Use of the ratio plot in capture-recapture estimation. Journal of Computational and Statistical Graphics, 22, 135-155. Kuhnert, R., Del Rio Vilas, V. J., Gallagher, J. and Bohning, D (2008) A bagging-based correction for the mixture model estimator of population size. Biometrical Journal, 50, 6, 993-1005. Gallagher, J. (2006) The F-test for comparing two normal variances: correct and incorrect calculation of the two-sided p-value. Teaching Statistics, 28, 2, 58-60. Hicks, S. M., Walker, A. F., Gallagher, J., Middleton, R. W. and Wright, J. (2004) The significance of "nonsignificance" in randomized controlled studies: A discussion inspired by a double-blinded study on St. John’s Wort (Hypericum perforatum L.) for premenstrual symptoms. Journal of Alternative and Complementary Medicine, 10, 6, 925-932. Fountain, J., Gallagher, J., and Brown, J. (2004) A practical approach to a multi-level analysis with a sparse binary outcome within a large surgical trial. Journal of Evaluation in Clinical Practice, 10, 2, 323-327.